If I had to label this weekend with one word, domestic would be my first choice. Lot’s of cooking going on. After enjoying this amazing Cranberry-Tangerine Chutney last week, I knew I couldn’t live without it all year so I began canning it. I had never canned anything before and it turned out to be pretty easy. 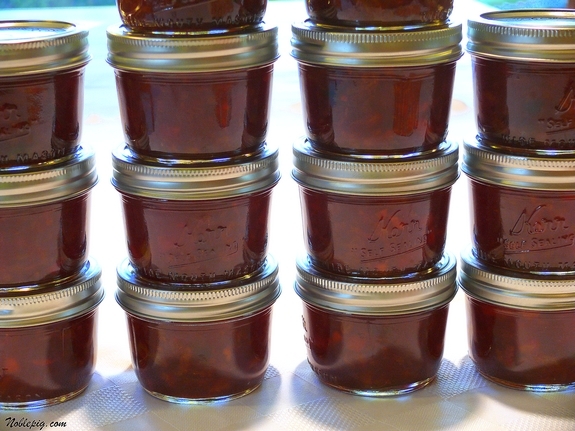 A double-batch of the recipe yielded 14 half pint jars. I will be making more. Run jars through the dishwasher. About 10 minutes before you need them, put lids and rings into a pan of simmering water so the rubber seal warms up. Ladle the hot chutney into the jars about 1/2″ from the top. Wipe the rim of the jar with a damp paper towel. (Any tiny bit of food on top can prevent the seal from forming.) Place the lid with ring on the jar and secure in place. Turn the jars upside down for about 30 minutes. Then turn right side up and let cool completely. You will know if the seals are good because you won’t be able to feel any up and down movement in the lid. It was so easy and no water bath was needed, I love that! 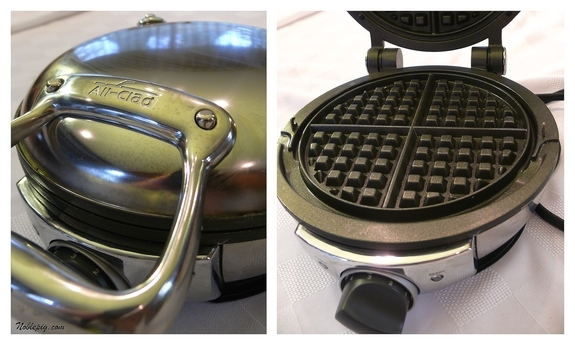 After getting my new waffle maker last week, we’ve been waffling like crazy over here. My family’s favorite recipe is a very yummy Belgian Waffle version I’ve been making for years. 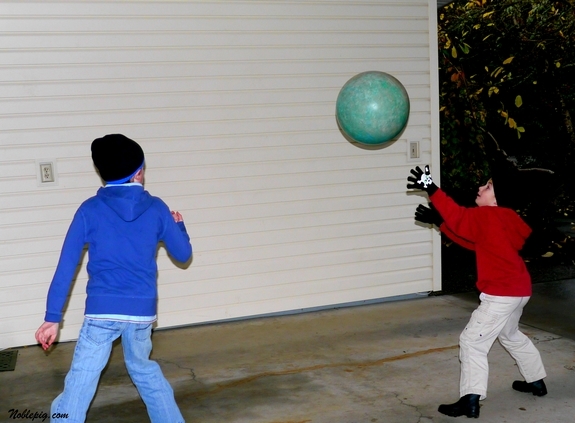 My kids have been crazy wall-ball players lately. They can’t get enough. They have already put in their order for an eight foot wall when we build our new house. If all they want is a wall, I’m all for it. It was also meat grinding time. After Mad Cow Disease became worrisome here in the U.S. I started grinding my own meat for burgers, chili and whatever else I use ground meat for. I like using a higher quality grade of beef but for the most part I like knowing which part of the cow my ground meat is coming from. This is process is so worth the effort and quite frankly isn’t really an effort at all. 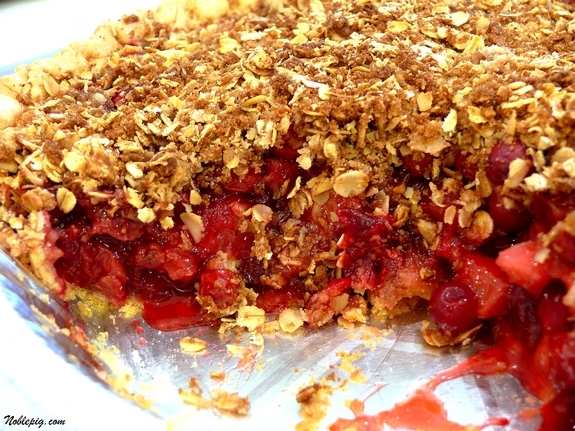 With all the cranberries around, I threw this Pear-Cranberry Pie with Oatmeal Streusel together again….very tart and sweet. 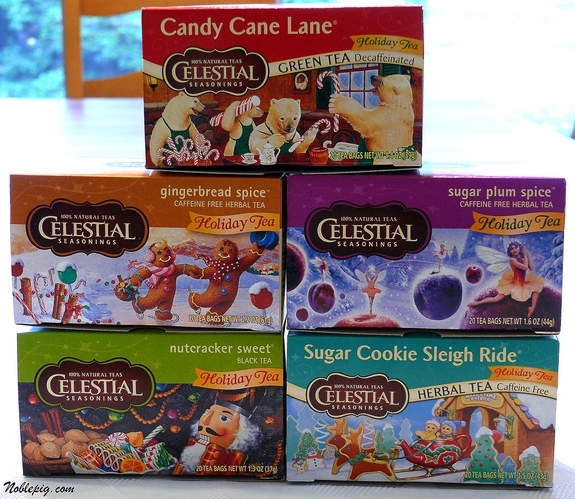 While I have always been obsessed with coffee I am also currently drinking these Celestial Seasonings Holiday Teas like crazy. Turn up the Christmas carols, throw a cinnamon stick in your mug and drink up. And that was it except for all of the rain, extreme wind, cold temperatures, rainbows and intermittent sunshine. I am still amazed at the sudden weather changes we have in this part of the country, but I still love it. Never a dull moment. I have to buy a meat grinder and start doing the same thing. It grosses me out to think what they throw into the ground beef pile. Love these weekend posts!! I never get tired of seeing and hearing about what you’re up to, Cathy! 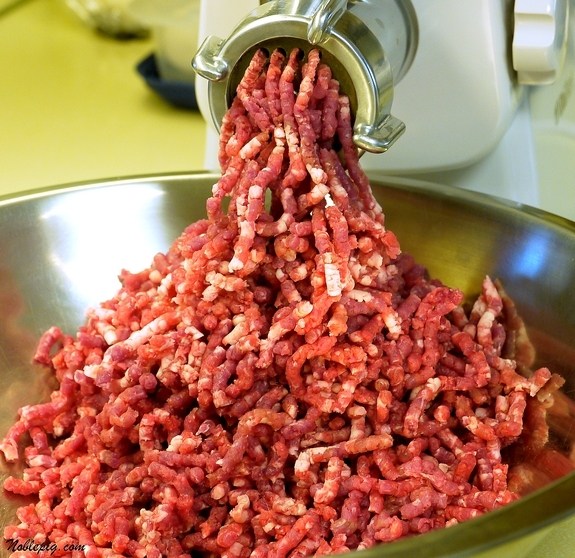 After seeing Food, Inc. recently, I think grinding your own beef is a good idea. I have to admit I’m tempted to give up beef completely, and chicken is not far behind. I’m grateful that we have ground venison to use in place of beef for most recipes. I know the specifics on it far more than I do beef. Love to see the boys playing (oh, if only we grown up kids played more!) and think the last photo is fabulous! I’ve always been curious about grinding my own meat and think once things have settled down, I’ll try it. Until then we get all of our ground meat from a local free range ranch down the road. It would be nice to be able to do it myself and save a little money! I have never seen ANY of those Celestial Seasonings flavors here in Maine. We pretty much have the standard stock of CS teas. Now I’m wondering where I can get my hands on those? Love these weekend posts and all the photos. They are not in the regular tea aisle but usually on the holiday aisle or on a special end cap. Ask the manager. haha, 14 half pint jars and making more. 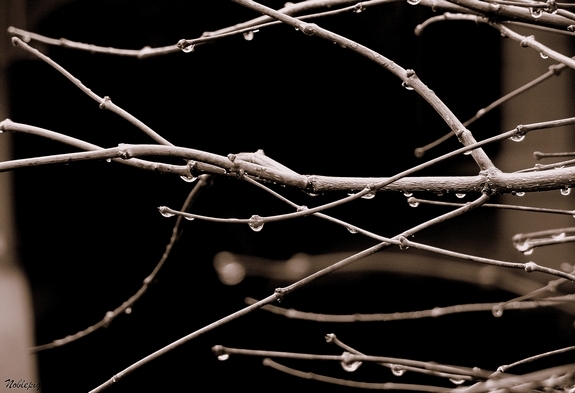 I love the picture of rain droplets on branches. What kind of meat do you prefer to grind? Canning without a water bath – Halleluiah! This all looks so great. I don’t feel like i’m missing out on the domestic side of life due to law school when i can read about it in a blog! It looks like you had a great weekend. The cranberry oatmeal dessert was my favorite. We had a very nice weekend over here. A good “beach” weekend. We just finished off grilled ribeye steaks, baked potatoes and salad. We are so full, the only thing we could eat for dessert was peanut butter cups, the small small snack kind. No room left for anything more filling! We are perfectly satisfied. Thanks for the pics of your weekend. I enjoy seeing your “weather” pictures. As a matter of fact, I enjoy ALL your photos. Wow you were busy! I have never canned but have always wanted to try. I have already bought the ingredients for the chutney to make for Thanksgiving! I want all of those teas!! Okay I have made the amazing chutney and now I have to can it too!! Thanks. You were productive…wow! I’d be happy to have that much chutney put away for the year (someday I’ll learn to can!). Busy busy busy, the only thing that changes is what we are busy with, but busy still the same. Really enjoy your recaps. Love a domestic weekend, we have t have them sometime. Love that you grind your own meat, I need to do that. I’m giving an apple cider rub I found a test run on chicken tonight. 2 turkeys, a few extra drumsticks and all the fixins are in the works for either 16, 17 or 19. We’re kinda flexible here; I know there’s enough food, after all! You have moved out into the country and are already learning the country ways. I love it!!! Just as you do. I baked cookies for most of the weekend and cleaned in preparation for decorating this weekend! Cathy: I finally found and purchased your darling little waffle maker. My boys and husband didn’t really like it, too girly for them. Curious, is that why you bought another one? By the way, I love the girly one!! I am the only girl in our family!